The Reading of the Names is coming up and we'll be reading all 58,282 names at The Wall beginning Nov. 7. But, we're also doing a big project to involve communities nationwide and need your help. We're asking individuals and groups nationwide to read names from their own towns, schools, branches of service or names that are meaningful to them, record it and send the video to us to be shared on our website and social media. Many groups have already signed on and I'm continuing to reach out to more. Many will come to The Wall for this event, only the 5th time it's ever happened, but many cannot and we want to include as many people as possible. We're setting up a digital dropbox for people to send video files to. Will have those instructions posted on our blog later today at vvmf.wordpress.com. 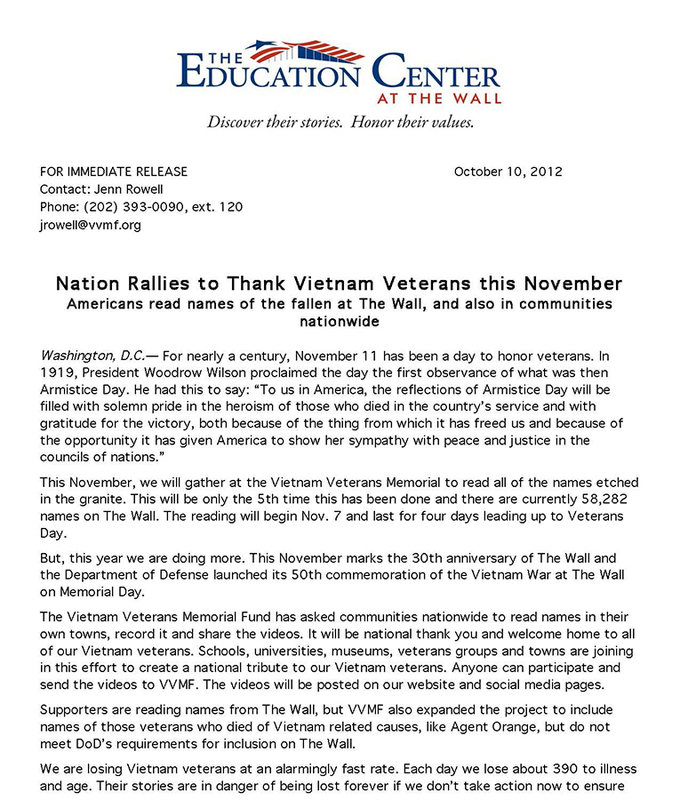 We want this to be a huge thank you and welcome home to our Vietnam veterans. 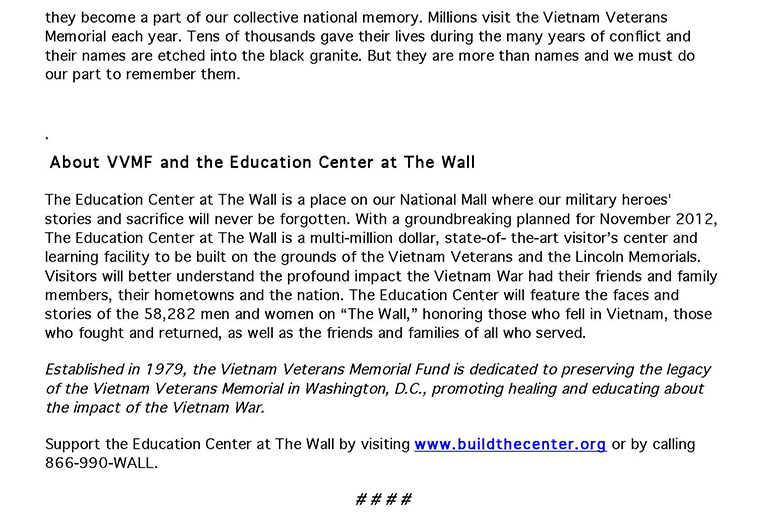 We're also including names that are not on The Wall in this project, but those veterans who died as a result of service in Vietnam, but don't fit the DoD requirements for inclusion on The Wall. I've attached a press release about the project. We'd love to have your help with reading names, sending us video and spreading the word. Feel free to contact me with questions or to request lists of names and I'm happy to help with anything. We'll be doing this now through Veterans Day.